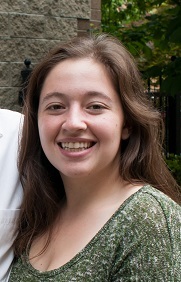 My name is Olivia Foster-Gimbel and I am a recent graduate from Northwestern University. A long-time native of Illinois, I am enjoying my time in Kentucky and as the BAM Lab Manager (although I am disappointed by the lack of blue grass down here). In addition to my work in the BAM lab, I am also working in Dr. Jazmin Brown-Iannuzzi’s lab as Lab Manager. I hope to eventually get my PhD in social psychology and I am interested in studying stigma and prejudice.